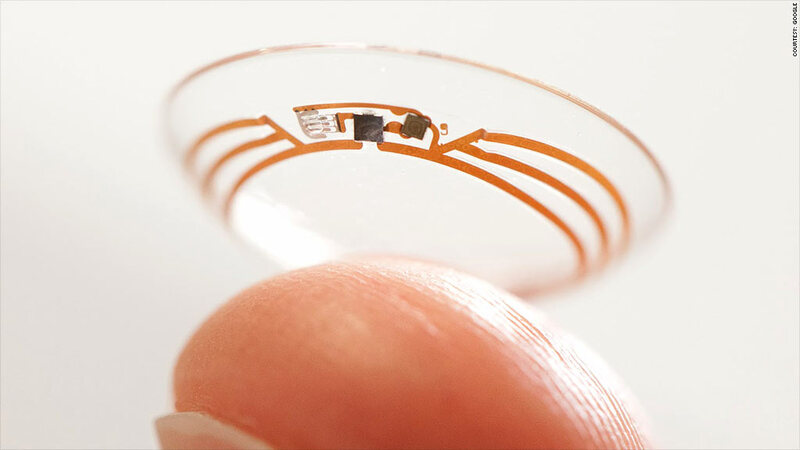 Google is developing smart contact lenses that will measure diabetics' blood glucose levels. Google is developing smart contact lenses that measure the glucose levels in diabetics' tears. If successful, Google's newest venture could help to eliminate one of the most painful and intrusive daily routines of diabetics. People with diabetes have difficulty controlling the level of sugar in their blood stream, so they need to monitor their glucose levels -- typically by stabbing themselves with small pin pricks, swabbing their blood onto test strips and feeding them into an electronic reader. Google's smart contacts could potentially make blood sugar monitoring far less invasive. The prototype contacts are outfitted with tiny wireless chips and glucose sensors, sandwiched between two lenses. They are able to measure blood sugar levels once per second, and Google is working on putting LED lights inside the lenses that would flash when those levels are too low or high. The electronics in the lens are so small that they appear to be specks of glitter, Google said. The wireless antenna is thinner than a human hair. They're still in the testing phase and not yet ready for prime time. Google (GOOG) has run clinical research studies, and the company is in discussions with the U.S. Food and Drug Administration. Diabetes is a chronic problem, affecting about one in 19 people across the globe and one in 12 in the United States. The smart contacts are being developed in Google's famous Google X labs, a breeding ground for projects that could solve some of the world's biggest problems. 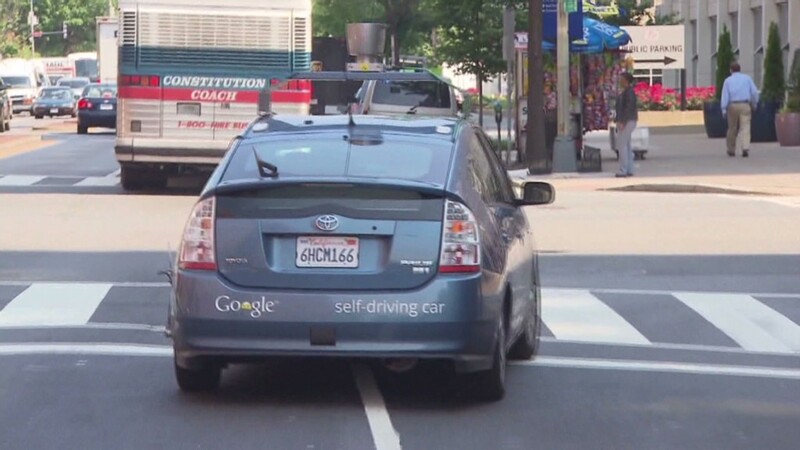 Google X labs is also working on driverless cars and balloons that transmit Wi-Fi signals to remote areas. Google's contact lens project isn't the first attempt at building the technology. For many years, scientists have been investigating whether other body fluids, including tears, could be used to help people measure their glucose levels. In 2011, Microsoft (MSFT) partnered with the University of Washington to build contact lenses with small radios and glucose sensors.